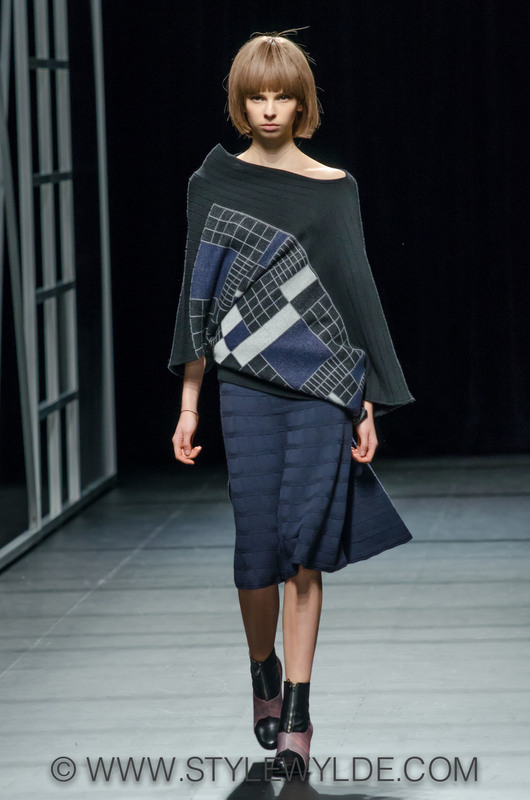 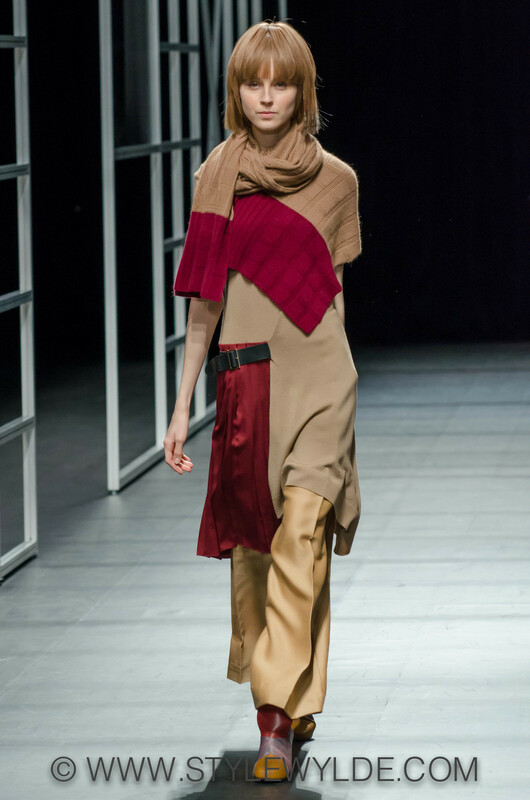 Boldly graphic with tons of geometric elements, Yasutoshi Ezumi's Fall 2014 collection felt like a master class in artful tailoring and innovative design. 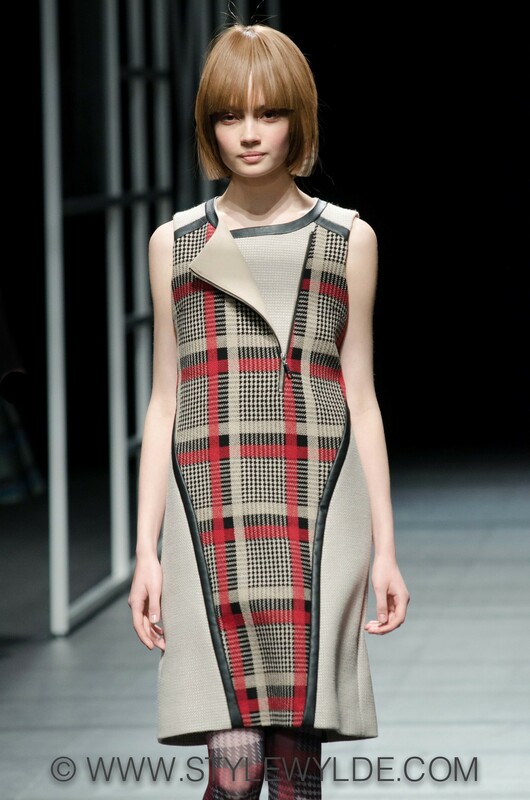 Patterns that evolved from plaids to checks to straight color blocking made for a collection that was both brilliantly cohesive and packed with stand alone stunners. 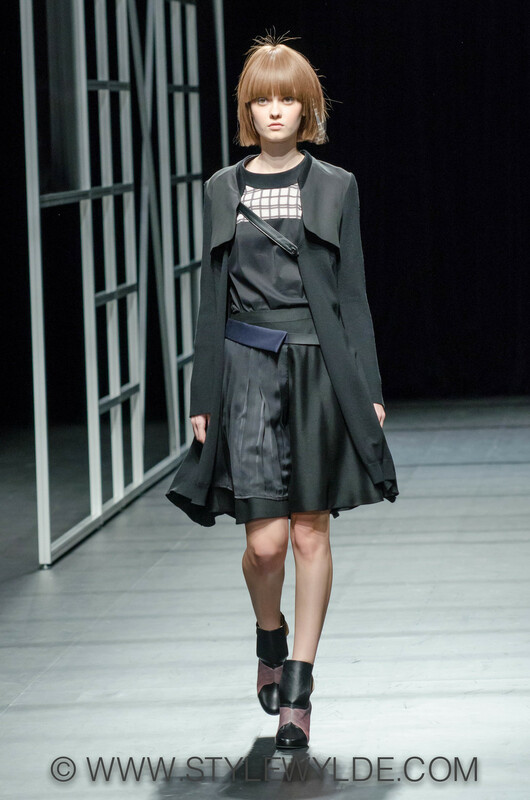 For more from the Yasutoshi Ezumi Fall 2014 collection, check out our exclusive Back Stage report in Beauty.